From the pure product made of rubber, or the product made of resin, expansion and contraction of the pipe generated at the time of accelerator opening and closing are lost by changing into the pipe made from stainless steel. 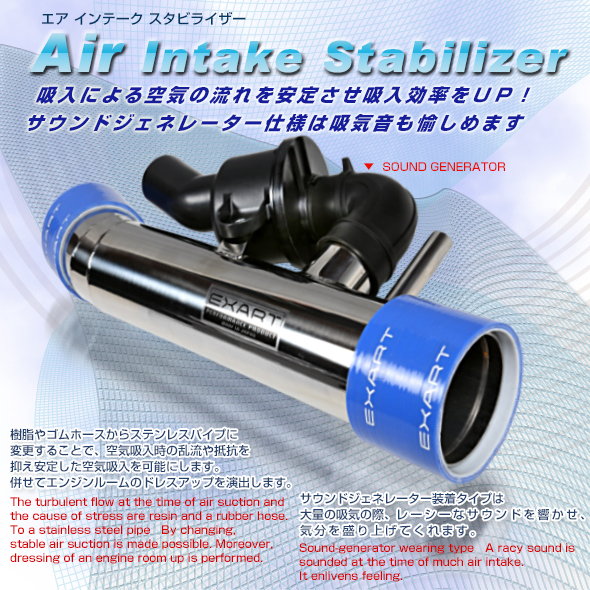 It stabilizes inflow of air and serves as an accelerator response linear at the time of start and acceleration. Inhalation resistance is reduced by taking linear shape as much as possible. penetration welding is performed, the level difference of a pipe inside is lost, and air resistance is reduced. The color of the silicon hose color of the four-layer structure containing a mesh reinforcing member adopts skillful blue. An engine room is directed skillfully. 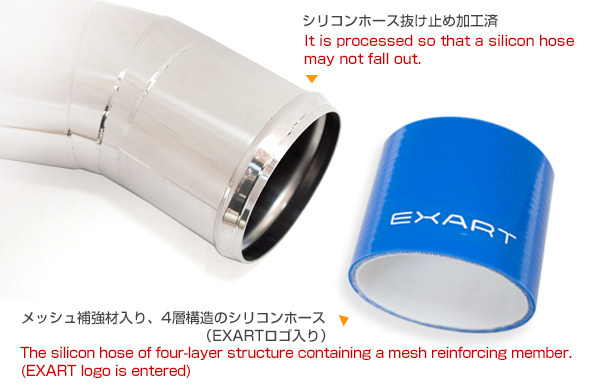 A genuine suction pipe and exchange are possible without processing for attachment. 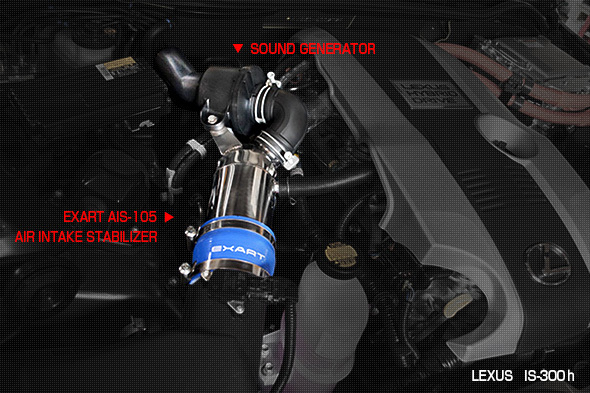 and, it can be equipped with a genuine parts sound generator (sound creator) by the vehicle types (Lexus GS, Lexus IS, Toyota 86, etc.) of the present part (a vehicle type is excluded in part). It can be satisfied with a powerful suction sound. Equipment for directing artificially the suction noise used for 86, Lexus GS, etc. 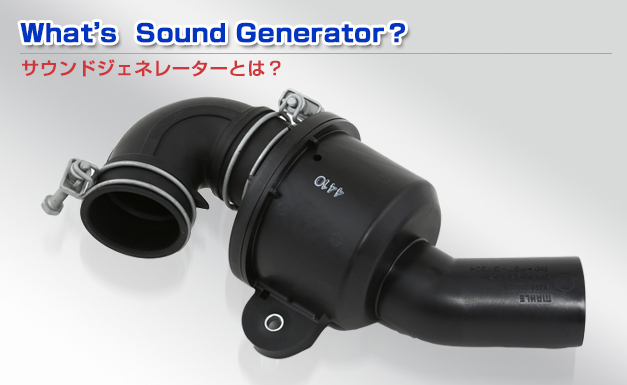 of Toyota with the sound generator currently used for the air intake stabilizer of EXART. 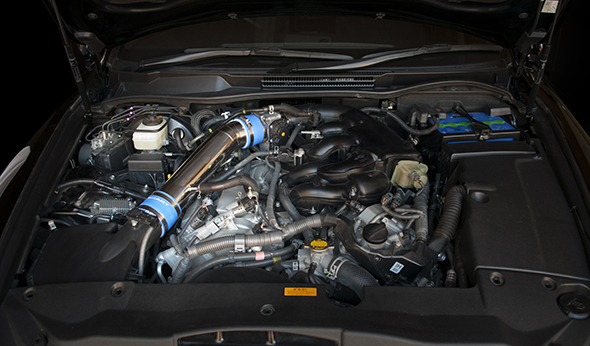 It is with the product which Mahle Filter Systems developed not only on Toyota / Lexus vehicle but on the Europe vehicle etc. It is adopted mostly. The structure of this sound generator is a resin damper of the shape of bellows which is in this equipment using air intake pulsation. It moves, resonance sound is amplified and it uses for the production of a suction noise. 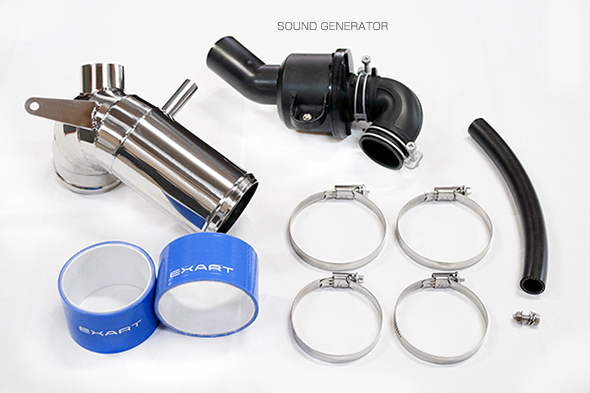 This sound generator currently used for EXART products has also adopted the product for Lexus IS/GS. 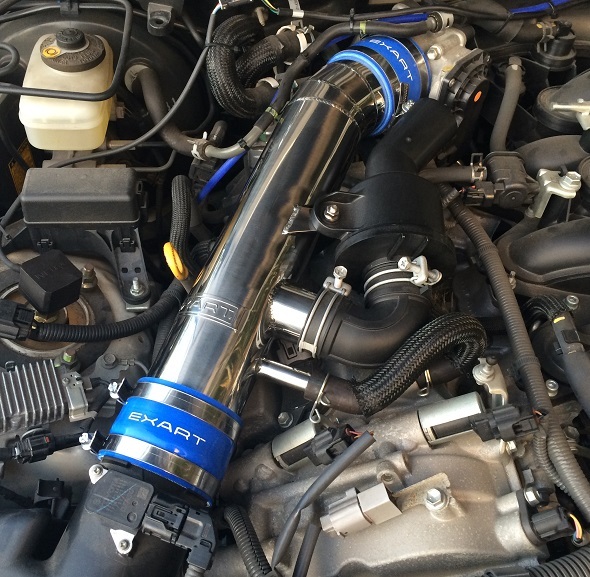 I am tuning by the main part side of an air intake stabilizer so that it may become the sound which can be enjoyed the optimal by each vehicle type. A click of product number will display a picture. When not displayed to a right end with a smart phone, please carry out a screen sideways and look at it. 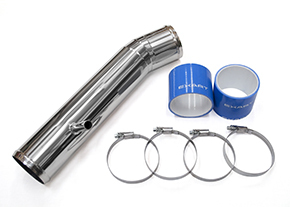 Main part: The product made from all stainless steel, and buff finish. It is a stainless steel clamp with a function stop loosening. With an EXART logo plate. 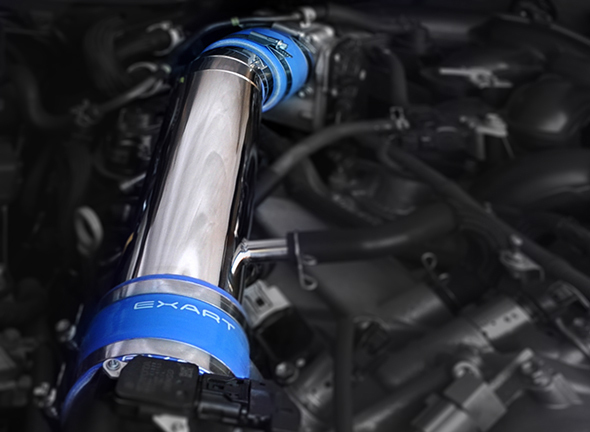 Sticker attachment with an EXART logo. Copyright © 2019 EXART All rights Reserved.